AZB topped the list of deals by value, with 25 transactions worth $4.5bn, followed by Khaitan & Co with 24 deals worth $1.8bn and Cyril Amarchand on 17 deals. Cyril Amarchand doubled its deal values as against last quarter from $3.2bn and seven deals, as did AZB, growing from $2bn to $4.5bn. Vaish Associates got to $2bn from only two reported deals. Shardul Amarchand Mangaldas had 16 deals worth $1.9bn in the first six months of this calendar year, placing it fourth amongst domestic firms by both value and volume. The firm quadrupled the recorded mergermarket deals from $480m in quarter one. J Sagar Associates (JSA) came fifth by values (with 11 deals worth $1.2bn). Several smaller to mid-size firms performed strongly in these half-year rankings. 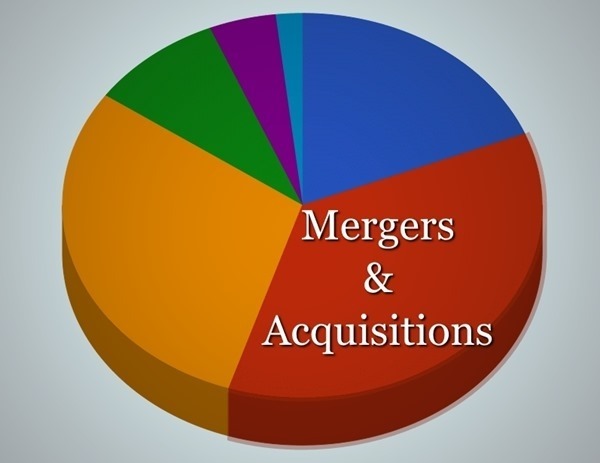 IndusLaw, for instance, doubled its deal tally versus quarter 1 of the mergermarket rankings, with 4 deals worth $1.1bn this half-year (compared to 2 deals worth $900m in quarter 1, and no presence on the mergermarket deal table last year). Trilegal too saw a big jump, from $388m in five deals in quarter 1 to more than $1bn by the half-year now, over 12 deals. Platinum Partners was at almost the same deal value as Trilegal but from only four deals – at the same time in 2015 it was not represented on the deals league tables. Nishith Desai Associates (NDA), also with four deals, found itself in 10th place by value with $774m. NDA was closely followed by youngsters Veritas Legal, started by AZB alumnus Abhijit Joshi and last month with 30 fee-earners, which had 12 deals worth $614m (up from $85m over four deals in quarter 1). K Law and Wadia Ghandy both had around $400m of deals, with volumes of four and three deals respectively. Three firms that made it into the top 10 by volume but were not within the top 35 domestic and international law firms by value were: Bathiya Legal (9 deals worth a total of $8m), BMR Legal (5 deals worth $95m) and PDS Legal (5 deals worth $77m). Desai & Diwanji, Phoenix Legal, Tatva Legal, S&R Associates and Economic Laws Practice (ELP) all had recorded four or fewer deals each, with values between $100m and $200m. DSK Legal recorded three deals worth a total of $5m, according to mergermarket. Luthra & Luthra did not make any appearance in either of the domestic league tables so far this year. Foreign law firm M&A rankings to be published separately. Was Platinum's MPhasis deal included in thelse rankings? A comment posted 3 years ago was not published. "Luthra & Luthra did not make any appearance in either of the domestic league tables so far this year." Kian - you may not realize this, but what you said will hold good atleast in the forseaable future. That fact is that Luthra is not viewed as a transactional firm. Sure, they are great for their non-contentious advisory work. But not deals - chutzpah,experience and depth is lacking. As an in-house counsel who changed firms recently, I can vouch for this. Though nothing wrong with being an advisory firm....or is it? Humbug!! The Firm is on the road to high trajectory increase in profitability. Deals obviously aren't very profitable in the current scenario with CAM like firms under cutting the market. We are where the moolah is. Hourly rate rocks! You have been bleeding juniors and mid-level precisely because of this issue. Paisa kya khaoge? WHAT are you smoking? The big or short cigar? A majority of CAM deals are Ashwath Rau generated. So technically its AZB and not CAM who topped. Ashwath was nothing. CAM made him. Stop glorifying a person. He is not bigger than the edifice that supported him. That is what you think Sir? Ashwath was CAM's highest biller. So he supported CAM in its first year. Wonder who will step in for him now. Then why does he need the umbrella of Aunty now? Why can't he go solo if he is that good. He likes to be associated with top class quality and not quantity. Explains why he moved from uncle to aunty. Kian - why are S&R and Phoenix fading away into oblivion on these tables? This, despite both firms bolstering their practices with even more "Partners"? It needs to be taken with a pinch of salt - these rankings depend on self-reporting in part, so some firms will perform better on that metric than others. Firms like S&R, however, have done well in previous years of the back of one or two really big M&As. Maybe their deals have fallen through so far, which is a function of luck when you're a smaller firm. Phoenix, not sure - they have not traditionally been super high in the M&A league tables, have they been? What about Bharucha? are they still in existence? Does RSG rating even matter? Foreign/Domestic client are very smart. They don't give work because of rankings but ask for credentials from law firms. If they satisfy their criteria then they give work. So I am not sure how rankings affect business of law firms. Second, new clients approach Indian law firms through foreign law firms and mostly all foreign law firms have infomal best friendship relationship. So again ranking won't matter.